Eleven people have been killed in a shooting at a synagogue in Pittsburgh, Pennsylvania, police have confirmed. The suspect has been detained. Twelve people have been injured, according to local media. Three officers were wounded, though it remains unclear whether they were counted in that tally. Police radio chatter suggested the suspect told officers before being detained that "all these Jews need to die" and he didn't "want any of them to live." The shooter, identified as 46-year-old Robert Bowers, was carrying an AR-15 and a Glock pistol. An additional weapon was found attached to the suspect's ankle, and a pistol was found in his waistband. A "military style package" was being checked inside the synagogue following reports of an explosive device. 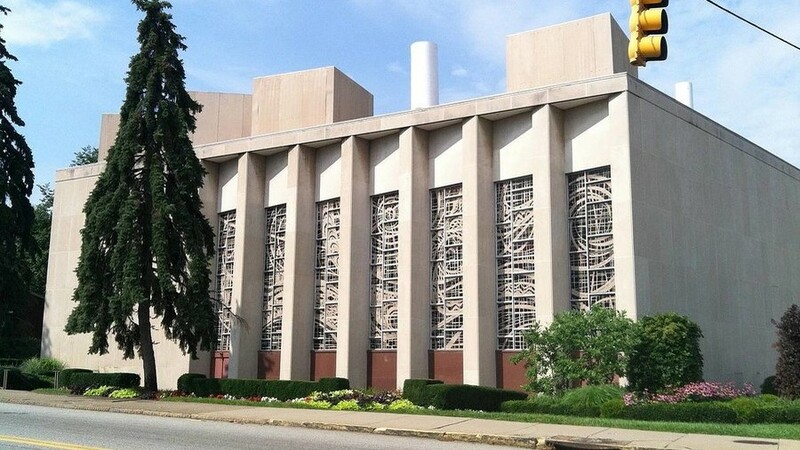 The shooting took place at the Tree of Life synagogue on Wilkins Avenue. He apparently shot at officers when they arrived at the scene, forcing them to use their vehicles as shields. Speaking to reporters, Pittsburgh Public Safety Director Wendell Hissrich became choked up as he said: "It's a very horrific crime scene. It's one of the worst that I've seen and I've been on some plane crashes. It's very bad." He added that the FBI will lead the investigation into the shooting, and that despite reports of an explosive device there was no evidence of IEDs being present. The synagogue was reportedly full of people for a Saturday service when the shooting began. Police received several calls from people barricaded inside the building. "My father-in-law was inside, I got married in that place. This is crazy. This is unbelievable..." one man emotionally told local news outlet WPXI. Details of the dramatic police standoff with the shooter emerged via police radio broadcast on the Broadcastify website. An officer at the scene told his colleagues over the police radio that there were "four down in the atrium." Another one said "I've got one alive." "We need armor," one police officer was heard saying, while another one requested to "open up the back for rescue." #BreakingNews Active shooter on Wilkins Avenue in Squirrel Hill. Allegheny SWAT on the scene, near Tree of Life synogogue. At least 4 people confirmed dead. A SWAT crew was dispatched to the scene and there was a request for breaching equipment on the second floor, as there were rooms with locked doors. An "explosive device" was also mentioned by the officers on the radio. The shooter was reportedly wearing a green jacket, a blue shirt, and blue jeans. The radio chatter cited his date of birth as September 4, 1972. The Pittsburgh Public Safety Department confirmed the active shooter situation shortly after it unfolded. “ALERT: There is an active shooter in the area of WILKINS and Shady. Avoid the area,” it tweeted. Pittsburgh Mayor Bill Peduto traveled to the location of the incident. US President Donald Trump tweeted that he was watching the events unfold, later stating that the incident was "far more devastating than originally thought." The Public Safety Department advised media to stop calling its cell phones. "It is draining batteries and interfering with communications." Human and Labor Rights Lawyer Dan Kovalik was at the scene shortly after the shooting happened, telling RT that the area is generally a "safe and active place" with "a lot of shops." He found it all cordoned off by police when he arrived. Israeli Prime Minister Benjamin Netanyahu has spoken out against the shooting, saying he is "heartbroken and appalled" by the "horrendous anti-Semitic brutality."